Linda McMahon Biography, Net Worth, Is She Still Married To Vince? Home Politicians Linda McMahon Biography, Net Worth, Is She Still Married To Vince? The happily ever after kind of marriage where high school sweethearts end up as a couple and live together till the end of time is the kind we read in romance novels. Rarely do we expect to see such in real life, it would appear that the husband of Linda McMahon never got ahold of that memo because he ended up marrying his teenage sweetheart and their marriage has endured for over five decades. Linda is popularly known as a specialist wrestling mogul. 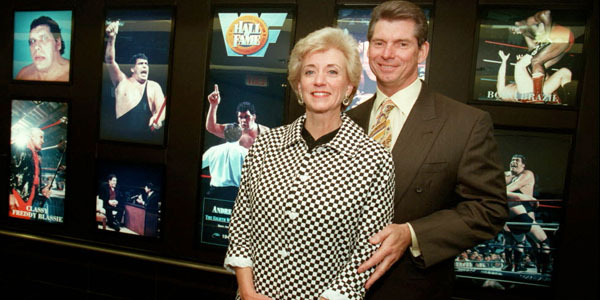 She takes the credit as one of the founders of WWE who popularized the maniac sports in America in conjunction with her husband Vincent McMahon. She was the president of WWE and later became the CEO from 1980 to 2009. During her time, the company experienced a quantum leap, from a small local business located in the northeast to a huge multinational corporation. Linda was responsible for initiating the company’s civic programs titled Smackdown Your Vote and Get Real. She made sporadic appearances mostly in the wrestling feud with her spouse which ended at WrestleMania X-Seven. She spent thirty years as a professional wrestling executive before stepping down to join Donald Trump’s administration as the Administrator of the Small Business Administration in 2017. Before then, she ran for the US Senate twice under the Republican and lost both times, first in 2010 to Richard Blumenthal – the Democratic Party nominee from Connecticut. She was later nominated in 2012 for Connecticut’s other Senate seat but lost again to Chris Murphy – the Democratic representative. Linda Marie Edwards is her birth name, she came into the world on the 4th of October 1948 and her place of birth is New Bern, North Carolina. This indicates that she is of American nationality but her ethnicity is white. She joined her family as the only child of Henry and Evelyn Edwards who were both staff of Marine Corps Air Station Cherry Point – military base. Her family is a conventional Baptist one but in her later years, she converted to Catholicism. When she was 13, Linda McMahon met Vincent K. McMahon who was then 16, Vincent’s mum was also a staff at the same building with Linda’s mum but they hadn’t met at that time. They eventually became family friends and Vince who suffered at the hands of several abusive stepfathers was at home with the inherent feeling of stability at the home of the Edwards where he eventually became a permanent fixture, spending quality time with Linda and her parents. Although Linda went to Havelock High School while Vince was at Fishburne Military School nearby, the duo were sweethearts throughout their years in high school. Linda was an honors student with the aspiration of going for the medical profession and eventually specializing as a pediatrician but Vince popped the big question after her graduation from high school. They eventually tied the connubial knot on the 26th of August 1966 when Linda was aged 17 and Vince 20. That same year, she got admitted into East Carolina University, graduating with a BA in French and certified as a teacher. The couple’s marriage is blessed with a son named Shane McMahon (b. 1970) and a daughter named Stephanie McMahon who came six years later in 1976. Both their children have made them grandparents with a total of six kids, three from Shane and another three from Stephanie. Two variations of net worth exist for Linda McMahon, a source pegged it at a whopping $500 million while another pinned it at a jaw-dropping $855 million. There are still some who claim that the former WWE executive’s net worth is under review, whichever may be the case, we have a list of some major expenses she has incurred in the past few years. Her two unsuccessful bids into the United States Senate cost her the sum of $100 million. She is an influential donor of the Republican, she made handsome donations towards Donald Trump’s campaign and her family has supported a lot of charitable causes through WWE. They donated the sum of $4 million to The Donald J. Trump Foundation in 2007 and increased it to $5 million in 2009. Their donations to Fishburne Military School, East Carolina University and Sacred Heart University came to a total of $8 million. The sum of $2.5 million was paid in 2006 towards the construction of a tennis facility located in Ebensburg, Pennsylvania. Read Also: Stella Stevens Son, Partner, Family, Bio, Net Worth, Is She Dead? Is Linda McMahon Still Married To Vince? From all indications, Vince and Linda are still living the proverbial happily-ever-after. Their marriage has endured for over 55 years and still counting, even though they have gone through a few highs and lows in the long course of their relationship. Expectations are that the couple’s marriage can only end when death comes calling.